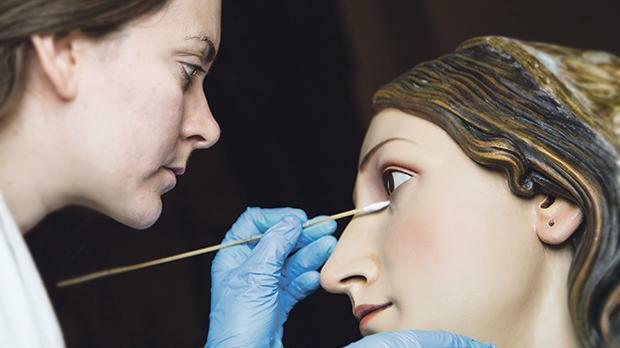 Maria Grazia Zenzani and Valentina Lupo (below) meticulously restoring statues. 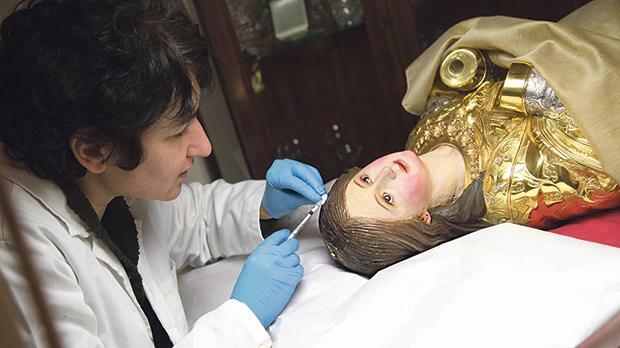 A talk on the conservation and restoration of wooden and papier mâché statues, particularly those restored by Atelier del Restauro Ltd, will take place tomorrow. Such statues include those of St Helen of Birkirkara, St Paul of Safi, the three stautues of Our Lady of Victories of Senglea, Mellieħa and Xagħra, and the most-devout statue of the Redeemer of Senglea. Restorer Valentina Lupo will share information on the scientific techniques used before and during the rstoration process. The talk will take place at the Razzett tal-Markiż Mallia Tabone, Wied il-Għasel, Mosta, tomorrow at 7pm.